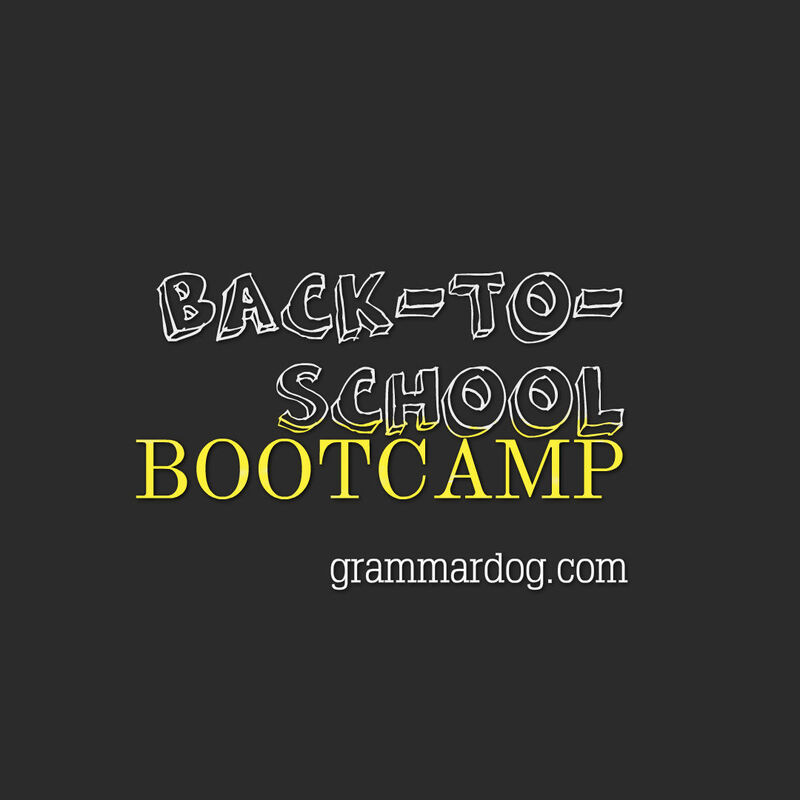 BACK-TO-SCHOOL BOOTCAMP :: Grammar, style, and proofreading quizzes use sentences from literature. It’s time. Don’t wait until the week or the day before school starts to get children and teens back on schedule. Three weeks should do it. Here is how to get into the back-to- school routine. New Routine. Ease out of your summer schedule and back into school hours gradually by getting to bed earlier by 10 minutes and waking up 10 minutes earlier. Adults need to get on the new schedule too. Teenagers will want to stay up late and sleep in until the day before school starts. That won’t work. The human body needs time to adjust. By the end of two weeks the whole family should be on the new schedule and ready to go back to school. During the last week the whole family should no longer be up at the new time lounging around in pajamas watching TV. For the last seven days everyone should be up, dressed, eating breakfast on school time, and going outside at the time they will leave for school. Meals and snacks should be served on the new schedule. Younger children especially need to adjust to the school mealtimes. REMINDERS. Breakfast should include protein, fat and carbohydrates. Suggestions include whole-grain cereal or oatmeal, whole-wheat toast, milk, yogurt, peanut butter, eggs, cheese and fruit. Children and teens need the following hours of sleep: Ages 1-3 need 12-14 hours; 3-6 need 10-12 hours; 7-12 need 10-11 hours; 12-18 need 8-9 hours. Breakfast and adequate sleep affect cognitive function. Remind children that eating and sleeping fuel the brain. Shopping. First, take an inventory. Who needs shoes? Jeans? Backpack? Back-to- school shopping is a “teaching” moment. Explain that the family will have to stick to a budget. Have children make lists of what they will need. Take stock of hand-me- downs from the older children. School websites usually post lists of supplies students will need. Search online for coupons and sales. Involving your children in planning and budgeting will head off tantrums once you get to the store. You will also be modeling valuable behavior for how to evaluate needs (not wants), working together, and compromising to satisfy the budget. Message Center. Set up a message board where family news and plans are posted. Somewhere in or near the kitchen is ideal. Post a master calendar, school lunch menus, important dates from the school calendar, extra-curricular events and family events like birthdays. Math Review. The budget and shopping will serve as a review of basic arithmetic, especially if you have children write down the amount of their personal budget. They can look up prices online and add up the cost of items on their list. Reading Practice. Take your children to the library for three weeks of reading material of their own selection. If children don’t read at all during their summer break, they lose some of the skills they learned the year before. Reading for three weeks before school starts will better prepare them for the next grade. 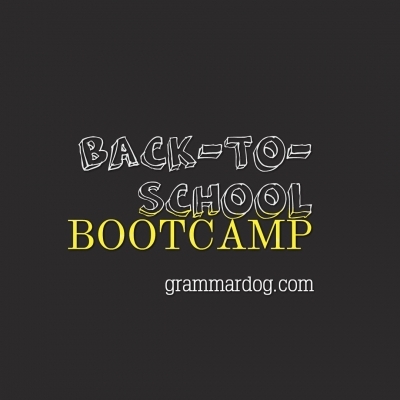 Back-to- school boot camp will make a huge difference in children’s moods and attitudes. Preparation is key to maximizing performance. It will also reduce anxiety and develop confidence in students. Parents are the most important teachers in children’s lives. The back-to-school routine will teach children how to empower themselves, how to take action and get in gear for new experiences and challenges. Staging a formal back-to- school process will reinforce the self-discipline they will need to perform well through high school, college and beyond. How do you get ready for school or work? You organize and prepare.